When a foster child comes to your home, you’re not only becoming a caregiver—you’re also becoming a teacher. Chances are, the child has not had the opportunity to learn practical life skills. You may be the first person to take her under your wing and teach these things. Even if the child ends up not staying at your home, he will carry those life skills with him and be much better equipped to face the world. Cooking is a very basic life skill. Without it, a child that ages out of the system will likely default to unhealthy packaged foods or fast foods (which then lead to a host of health issues). Take your foster child with you to the grocery store and let him or her help you choose healthy food options on the shelf. Talk about the food groups and how to plan a healthy meal. 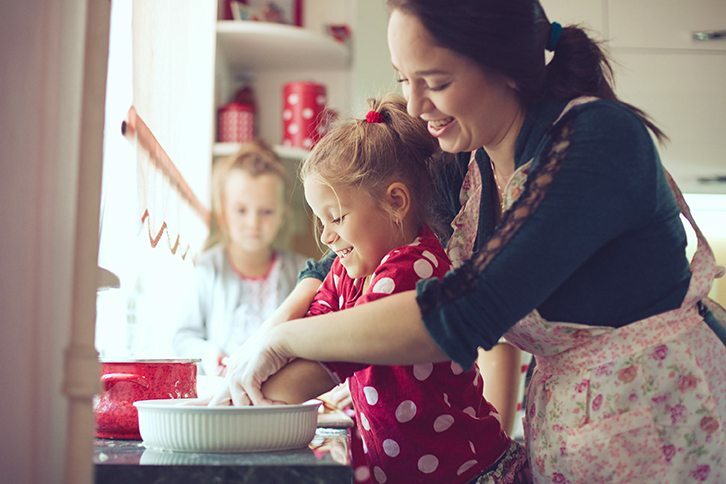 Once you’re home with all the food, show your foster child how to boil an egg, prepare a salad, steam some vegetables, or cook some chicken. As they master basic skills, you can then progress to more advanced projects, like baking a tray of cookies (healthy ones, of course) or making a pot of stew. Every child should learn about things like brushing and flossing teeth, taking a bath (or shower), and washing hands after using the bathroom. Children under the age of 10 can get away with bathing less often, but adolescents and teens will need to adopt a daily bathing schedule when they start hitting puberty. Around this time, they will also need to learn about shaving and additional body care. You can make this part fun as well, like showing a young foster girl how to put on mascara and lip gloss or showing a teen boy how to shave his peach fuzz. Finances can be taught to foster children of all ages. Even young children are very capable of picking up simple financial tips. Piggy banks are a great way to teach little ones and elementary kids about saving and spending. Children of any age can be taught the value and satisfaction of earning their keep by giving them allowances based on chores completed. Children of all ages should also be taught the value of giving to charity. You can let the child pick his or her favorite charities and then guide them through the process of giving a percentage of their earnings to one of their top choices. Teenagers can be set up with a bank account (that you have access to) and shown how to write checks and balance a checkbook. Explain the danger of credit cards and buying things they can’t afford. Teens can even learn about more complicated concepts, such as investments. They’re also capable of starting out in the working world with their first job. The skill of learning how to keep a house is another basic life skill. Kids—even very young ones—can be taught how to do laundry, pick up toys, wash dishes, sweep the floor, and keep up the yard. Every child in your home should be on the chore schedule. This should be a program built with rewards, such as money, when chores are successfully completed, or consequences, when they’re not. Not only will this help you keep up the house, but it will also teach your foster child a work ethic and the value of serving others. Foster parenting is about so much more than just creating a place for a child to stay until he or she finds a permanent home. Regardless how long you have a child in your care, you can teach him or her some much-needed life skills. Even if they don’t appreciate it now, they will when they’re on their own. Skills will not only prepare them for the adult world, but they could also help them with learning character qualities such as responsibility, self-respect, and philanthropy.